My project manager brings a lot of knowledge to the project as he is heavily involved with my account. Whenever I need him, he is there to help. The quality in the leads and how well they convert. To top it all, I have been receiving calls and job requests from across the river in Philadelphia. This is a first for my business and I owe this success directly to WebiMax. There is not much to dislike about this project. They have been great since the start and have always been helpful all throughout the campaign. We have an interactive dashboard we can view but it is somewhat limited. It gets the job done but to see more would be helpful. "Great People & Great Service"
Other SEO companies that ripped us off in the past that didn't know what they were doing & got us penalized by google. Thankfully Tom D & his team at webimax took care of that for us. Don't be fooled by other companies. we almost went with them to begin with, and decided on another company, and it was a giant mistake. we should have used webimax from the start. I like the "skin in the game" partnership that encourages both Webimax and my company to focus on results. They have amazing tools that share our successes and opportunities in the digital advertising space. They focus on effective advertising versus broad approach and have data to back up their decisions. They move incredibly quickly when I provide feedback - continuous improvement generates higher quality leads for us. Give them the chance to understand your business so they can recommend the best solutions. "The real deal, this agency goes above and beyond to help you succeed. Honest too! " The open communication and approach to sharing information in a educational manner. Best use of our budget to maximize results. I do not have any issues with this company. "Been in the marketing and branding business for 30 years and WebiMax is one of the bright spots." to my concerns and if he does not have the answer to my questions he will get back with me. I wish they were down here, I would enjoy taking them to lunch. "The Dev Team is such a pleasure to work with." The best aspect was working with the Dev team and understanding their process. It was great to get inspiring help for such talented people. There was nothing about this process that I had disliked. As I stated before everything was seamless and was stress-free! "Social Media and Online Reputation Management by Webimax"
I enjoy working with Webimax as they communicate with me effectively so that we can accomplish our goals without more work for our staff. We have been with Webimax for about a year and I can't think of anything that stands out as something we don't like. 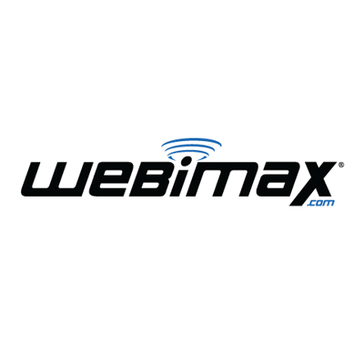 WebiMax’s efforts have greatly increased both the number of leads that come in and overall sales. They provided me with a bid that I found to be incredibly overpriced and time frame to build which is way too long. "Fantastic SEO and account management"
The customer service we receive is professional and responsive. 5 stars. I appreciate and depend on their fantastic customer service/account management. Our contact executes our requests even if it's off-hours. An accessible dashboard would be helpful. Highly recommend. Great client service. Prompt, professional and responsive. The presentation and flow of the the information as it appears on sites pages. I would prefer more color contrast and bolder emphasized text to highlight more important points. To meet your implementation schedule you should have a reasonable understanding as to what you want to accomplish. Webimax will be a valuable resource to help you with the content presentation as well as content design and flow. The will adjust to your pace and launch schedule. Our pre-lead costs have gotten incrementally more expensive, but that is entirely to be expected with online advertising! Scott, our account rep, is wonderful. But the daily emails are great to know what we need to tackle each day. Nothing with the platform itself; review generation is a hard nut to crack. "True experts in the field"
Results. Lead generation and our online marketing program is working very well. Internal budget limitations. I see the value in their services and would like to eventually spend more with them. My consideration was based on the realization that I would have to spend hundreds of thousands of dollars to employ staff members with the level of expertise that Webimax has. It was well worth our investment to partner with Webimax. I really love Webimax's social media pages. They are really informative and I enjoy getting to see the in's and out's of this company. Whoever runs them knows how to run them very well! Absolutely nothing. Excellent customer service, have never had a problem dealing with anyone. They have been super helpful through every step. Definitely use Webimax! They are a great company to work with and you will see results!!! "We are pleased with the results"
They are always presenting new ideas to help grow new lead opportunities. They are truly committed as a partner to achieve excellent results. "Skilled company bringing great results"
The process each month is custom to what we need. We never get the same service as they provide custom recommendations each month to what we need. And on top of that, they deliver on what they say they will do. Nothing to dislike as the projects continue to impress. Give them a shot and they won't disappoint. Besides helping us meet and exceed our goals, our Webimax Account Manager is extremely prompt when we have any questions or concerns. He makes us feel like we are his top priority. I had hoped to get more conversions from our PPC campaigns but we are still testing different techniques for PPC advertising. "WebiMax does a great job!" WebiMax is very responsive to our needs and understands our goals. Consistent monthly reporting along with strategy recommendations that assist in our efforts. "Great Client to Agency Relationship"
I love the almost instant communication between my rep and myself. It's a huge asset when trying to work on real time issues. I am happy with their service. I would recommend. The one on one and I was able to speak with them anytime on the phone. They were a little more expense than others. * We monitor all WebiMax reviews to prevent fraudulent reviews and keep review quality high. We do not post reviews by company employees or direct competitors. Validated reviews require the user to submit a screenshot of the product containing their user ID, in order to verify a user is an actual user of the product. Hi there! Are you looking to implement a solution like WebiMax?